With routine dental examinations we can help you preserve and protect your smile by detecting dental problems before they worsen. Prevention is better than a cure as this will help you avoid the traditional, and often costly, pattern of tooth decay, fillings and tooth loss. As a new patient, your initial dental examination will last approximately 30 minutes and provides ample time for one of our experienced and highly professional dentists to give you a thorough dental check-up. Radiographs (x-rays) and full mouth hygiene (ultrasonic scaling and polishing) are included in the examination charge. Whether you are looking to achieve a brighter, healthier or more attractive looking smile or to replace damaged or missing teeth with a long-lasting, natural looking alternative, then we are here to help. Combining a clean and polish with oral hygiene advice and a gum health check. It’s the regular treatment to help maintain sweet breath and a dazzling smile. Commonly used first is an ultrasonic instrument which uses tickling vibrations to knock larger pieces of tartar loose. It also sprays a cooling mist of water while it works to wash away debris and keep the area at a proper temperature. The device typically emits a humming or high pitched whistling sound. This may seem louder than it actually is because the sound may get amplified inside your head, just like when you put an electric toothbrush into your mouth. White or tooth coloured fillings provide a healthier more natural alternative to traditional amalgam fillings. The main benefit of white fillings is that, as your dentist, we have a large choice of tooth-coloured shades to choose from. Selecting the shade that is closest to your own teeth in colour, we can design your white filling to match your own teeth in shape and colour resulting in it being practically invisible to the eye! White fillings also require a less invasive restoration when filling the hole left by decay in your tooth. This means that less of your healthy tooth tissue would need to be removed with a white filling. White fillings v silver (amalgam) fillings? A white filling, which starts off life as a softer and easier material for our dentists to shape and mould, is far more effective in repairing chipped teeth or restoring decayed teeth in the more visible part of your smile and the front of your mouth. Once moulded to the desired shape, a blue light is then shone on the while filling to harden it and to fix it into it’s final shape. When would I require white fillings? For teeth that are either cracked or chipped, tooth-coloured fillings may be used to build up the tooth to restore it’s look and feel. Closing gaps, reshaping uneven or short teeth and filling cavities caused by tooth decay may also be treated. The cost of a white filling starts from £75 however the cost of treatment is dependent on the size of the filling required to restore or repair your tooth. Your dentist will be able to provide you with a cost for this during your dental examination and before any treatment begins. We will always discuss your options before beginning treatment so to ensure we provide you with the right treatment that suits your budget and individual requirements. A crown is a protective cover fitted over the existing structure of a broken or damaged tooth to restore function and appearance. With no black line at gum level and made to match your natural teeth in their size, shape and colour, an all-ceramic crown provides a very natural looking restoration and smile. Sometimes known as a ‘cap’ a dental crown is an artificial restoration that fits over the remaining part of a prepared tooth that has been broken, damaged or decayed to a point where a filling is not suitable. The crown may be closely matched to the surrounding teeth in shape, colour and size and once fitted provide a seamless and permanent restoration to your tooth. If your tooth has become broken, decayed or damaged in such a way that a filling is not strong enough to support the tooth or if you are looking to cover an existing amalgam filling, then a Crown may be recommended by your dentist as the best treatment. Your tooth will be prepared by your dentist by removing the outer surface of the tooth to the required shape for the Crown. Once the tooth has been prepared, your Dentist will take an impression of the prepared tooth, together with one from the opposite jaw, to record the bite. The impressions are then sent to our expert, dental technicians in our dental laboratory where your new crown is handcrafted and tailored to you. A temporary Crown is fitted until your returning visit, where your new, permanent Crown will be fitted and cemented in place. The cost of crown at Stamford Bridge Dental starts from £209 however the cost of your treatment will depend on the material used such as metal/ porcelain, all ceramic or gold. When you come in to see your dentist at Stamford Bridge Dentists, we will talk you through the treatment procedure and associated costs of treatment before any dental work is carried out. Should you have any questions, please always feel free to ask. Several missing teeth and in need of a Bridge? Used to replace missing teeth, a Dental Bridge is made up of Crowns fitted to the teeth either side of a gap in the mouth. To prevent the need for a denture or dental implants, a Dental Bridge is used to restore the look and feel of a complete smile. Dental bridges come in three differing types: 1. Traditional fixed bridge – made of two porcelain crowns with a pontic (the tooth being replace) in the middle. As the name suggests, these dental bridges are fixed in and can’t be taken out. The pontic is mostly made from porcelain fused to either metal or ceramics. 2. A Maryland bridge or resin bonded bridge – both of these bridges are only appropriate when the teeth either side of the gap are healthy and strong or if the gap from a missing front tooth. The pontic is created by fusing plastic with metal bands bonded to neighbouring teeth with resin. As always, the fused bands are hidden from the view of others. 3. Cantilever bridges – these kinds of bridges are really made for areas of lower stress such as the lower front teeth. Cantilever bridges are needed when there is only one tooth present on a side of an empty gap, the pontic is anchored to only one (but sometimes more) adjacent teeth on one side. Generally, you only require two appointments to fit a bridge. If you make sure to keep good dental hygiene then they can last for 10-15 years. Through having missing teeth, your speech, bite, appearance and overall confidence can be affected. A Dental Bridge is a solution to these and other concerns with your smile. Veneers are very thin shells of porcelain which are made to fit over the visible surface of your tooth. Providing the ideal way of treating discoloured severely discoloured, chipped, cracked or unsightly teeth, Veneers are recognized for being a long lasting and natural looking way of dramatically improving the appearance of your smile. Made from porcelain, Dental Veneers are hand-crafted, thin shells that fit on the front of your teeth to provide you with a complete new smile (or a ‘smile makeover’). Porcelain veneers are a popular treatment option amongst celebrities as they offer a quick and easy way to change the shape and look of a smile as well as to close gaps, re-align crowded or protruding teeth and whiten teeth that have become severely discoloured. What are the advantages in having Dental Veneers? Where teeth have been badly stained and cannot be improved by teeth whitening, Dental Veneers work to cover existing stains. Gaps or spaces in your smile may be easily closed using dental veneers to restore a uniform, even smile. Made from a tooth-coloured material, chipped, cracked or broken teeth may be restored using Dental Veneers to resemble your adjacent teeth and give you a smile to be proud of. Porcelain Veneers last between 5-10 years. To make your veneers last longer, maintain your oral health program and ensure you visit your dentist regularly for check-ups. Why should I choose Stamford Bridge Dental for my Veneers? Taking the time understand your concerns as well as your aspirations for your new smile, our highly experienced and expert team will clearly explain how Porcelain Veneers can help improve the appearance of your smile. Working hand in hand with our highly experienced dental technicians in our dental laboratory (who will actually make your Dental Veneers), we pride ourselves on the unbelievably natural-looking results we achieve for our valued patients. We work along side a fantastic dental laboratory the ensure your denture is made from the best and latest material, making it look and feel great. Acrylic and cobalt/chrome metal are the two most common sorts of denture. We will spend time with you during the production of your teeth to make it look how you want. As natural or as white as you wish. Root canal treatment involves the cleaning and disinfection of the root canals within the roots of your teeth. Many people think this is a painful procedure. This is untrue. At the Stamford Bridge Dental we use the latest local anaesthetics to ensure this treatment is comfortable. It is routine to provide a crown on a tooth after root canal treatment. This is to ensure long term strength of the tooth under function. Over the years, The Team have built very good trusted relationships with colleagues in York who provide orthodontic and implant services. We are working together with these colleagues to provide the services to Stamford Bridge Dental. 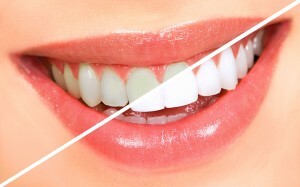 This whitening technique involves taking custom made thin transparent guards home with you for use with your whitening gel either overnight or daily. It usually takes up to 2 to 4 weeks to see any noticeable effects of this type of treatment. At Stamford Bridge Dental we can provide a complete range of affordable treatments to maintain healthy, attractive mouths for our patients. Our treatments will always be carefully explained and justified, and you will receive a printed quote before any treatment is completed.